The Child Trust Fund (CTF) was a tax-free saving scheme for children born between 1st September 2002 and 2nd January 2011. Parents of children born in this period received a one-off payment from HM Revenue & Customs of up to £250, which was used to open a savings account in the child's name. 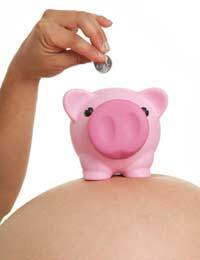 Children born after 2nd January 2011 will no longer receive this government funding. The Child Trust Fund offered a tax-efficient way in which parents, grandparents or friends could save on behalf of their children. The initial sum deposited by the government was intended as a starting point for saving. It also meant that the child would receive some financial assistance as they began their adult life, even if the parents had not continued to contribute to the fund. CTFs are a long-term savings vehicle with very specific rules. Their most important feature is that, although parents or grandparents may contribute to the fund (indeed, they are positively encouraged to do so), they may not withdraw from it. The only individual who has the right to make a withdrawal from the account is the child in whose name the account is opened, once they reach the age of 18. Although the scheme has ended, having been replaced with Junior ISAs, those with CTF accounts will still benefit from the tax-free status. A parent, grandparent or friend may pay up to a total of £3,600 per year into the Fund (upped from £1,200 in Nov 2011) and this will not incur any Income Tax or Capital Gains Tax at either the time of deposit or upon maturity of the account. When a CTF was opened, the individual taking on responsibility for the account was required to decide between three different account types. These were similar to choices that might be made for some other savings vehicles. The most commonly chosen was the traditional 'savings account' model, whereby the money was saved risk-free in a regular interest-gaining account. Although the lack of risk involved in this option is tempting, it is worth remembering that the effects of inflation will mean that the interest will be worth less in real terms on maturity. The account opener could also choose a stakeholder option, in which the money is split between shares in a number of different companies. This presents a lower risk than investing in a single company. Finally, you can transfer your account to another provider or change investment type e.g. you can move from savings to stakeholer and visa versa. There should be no penalties for doing this although some share type providers may charge dealing costs and stamp duty when you close them. To transfer simply sign up with the new provider, they will then arrange for the old account to be closed and the funds transferred. You can't however, split the fund if you do decide to transfer, it must be the whole amount.